The interview series poses questions concerning the role of affects and emotions in research practice and contemporary society to researches on short-term visit and associate members of the Collaborative Research Center “Affective Societies”. Today, we introduce Lara Baladi, an Egyptian-Lebanese multidisciplinary artist, archivist and educator. 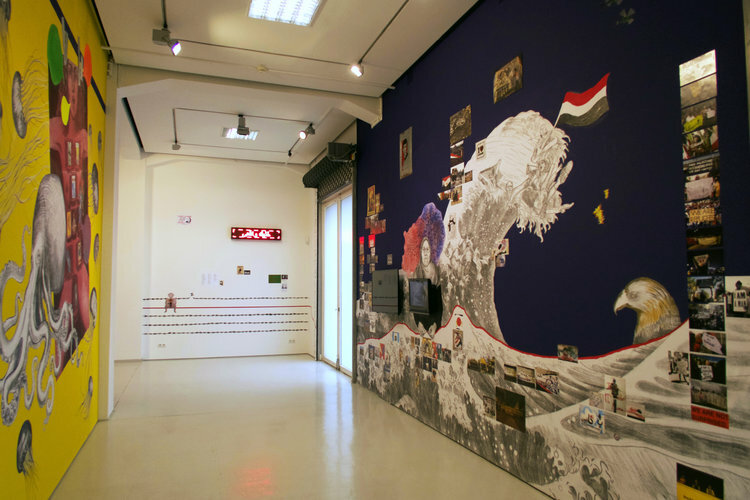 In her investigations into archives, personal histories, socio-political narratives and myths, Baladi’s work spans a wide range of mediums, photography—analogue and digital—collage, immersive video, sound and multi-media installations, architectural spaces, sculptures, tapestries and perfume.